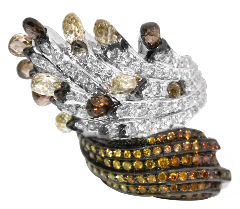 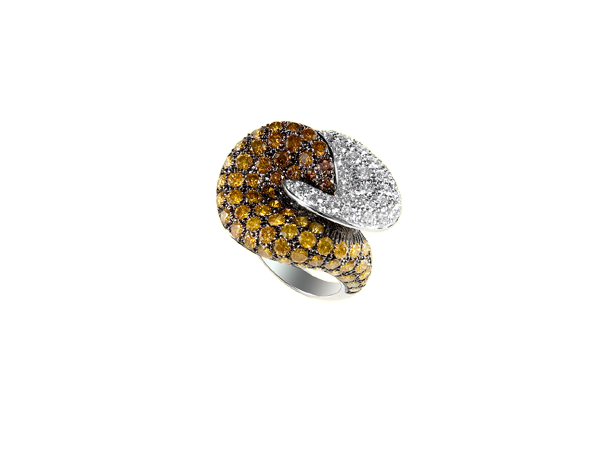 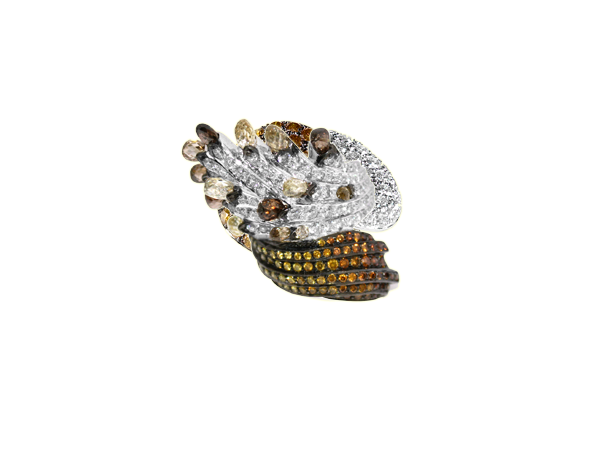 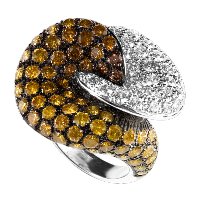 Statement ring with natural fancy color diamonds and brilliant colorless diamonds splurging out with accents of champagne and white diamond briolettes set in 18k gold. 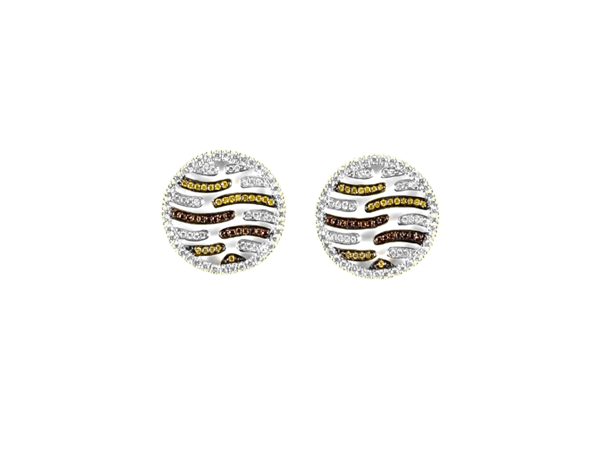 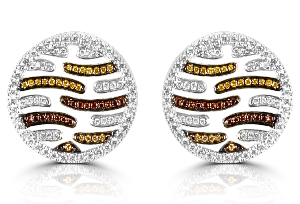 Circular earrings with natural color diamonds and brilliant colorless diamonds set in 18k gold. 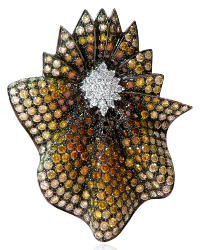 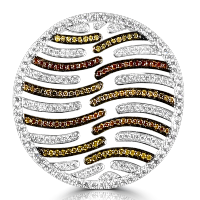 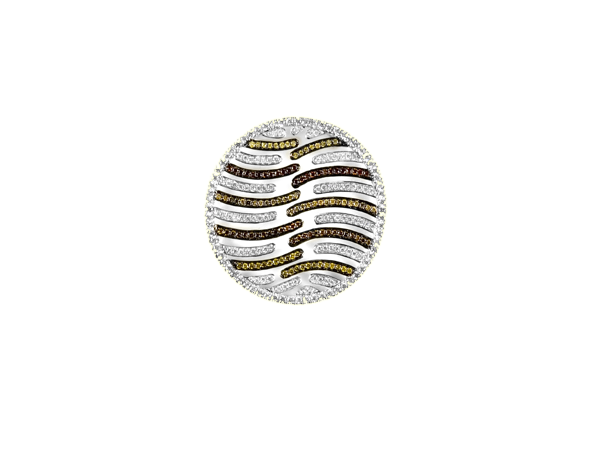 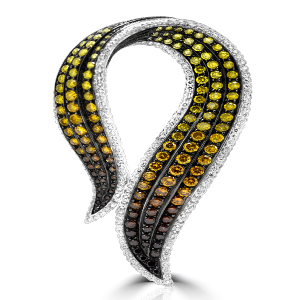 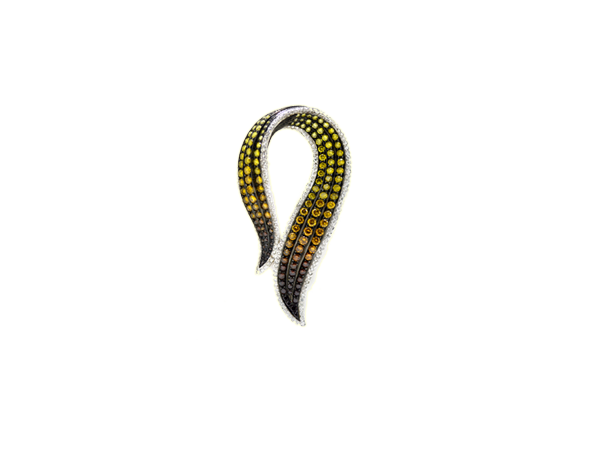 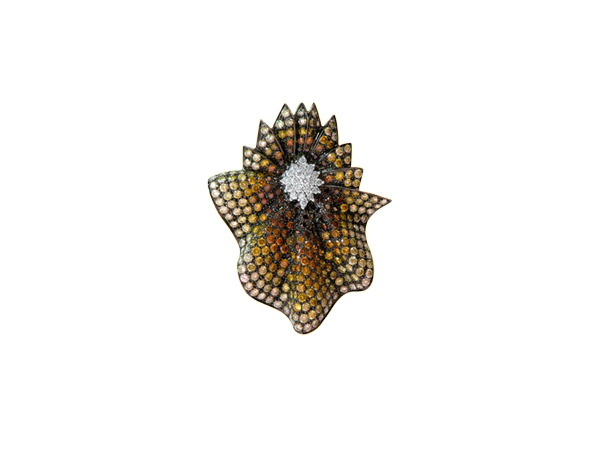 Circular pendant with natural color diamonds and brilliant colorless diamonds set in 18k gold. 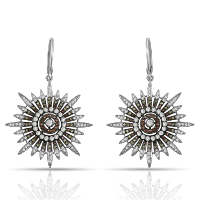 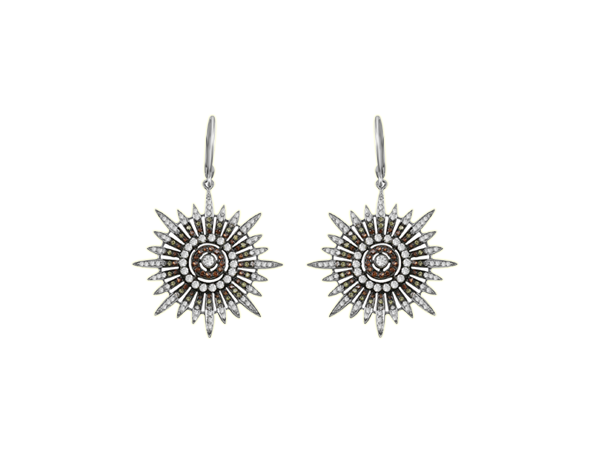 Sunburst dangle earrings made with natural fancy color diamonds and colorless diamonds set in 18k blackened gold. 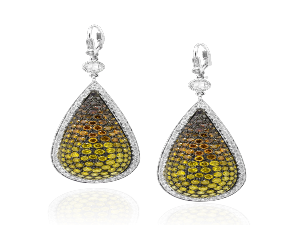 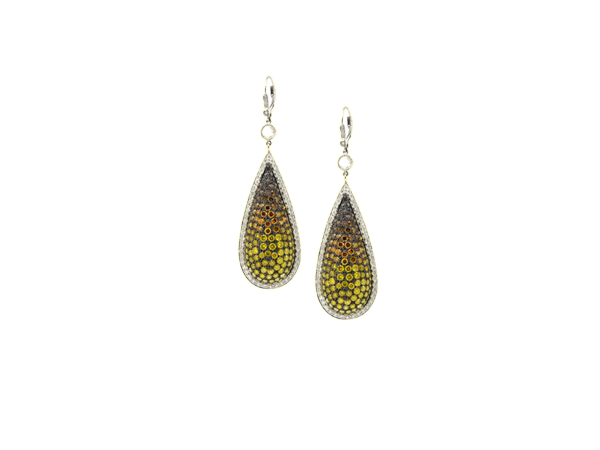 Graceful spectrum of natural fancy color diamonds set in earrings 1.5 inch hanging on diamond wires in 18k gold.